Falling in love doesn't happen everyday. But, from the moment you take your first step into the courtyard that we call Casa de Sueno you will think you've fallen in love. It is indeed, as the name implies, a house of dreams. 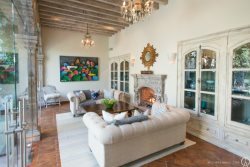 From the first sunrise to the last sunset you, your family, and your friends will experience the comfort and beauty of a spacious, inviting, and dramatic Mexican dwelling. You will be stimulated and entertained by a tastefully and expanding art collection. And there is a fully equipped kitchen that will add flair and flavor to your favorite cuisines, wines, and pastries. Casa de Suenos is far more than just a place to pull off your boots, unstrap your spurs and hang your hat. It's a place where sunsets, full moons and celestial bodies will enchant and inspire. There are verandas and terraces lined with indigenous plants and trees that will delight your senses and embrace your creative instincts. There are 3 bedrooms and 3 1/2 bathrooms. It has 2 King beds and a Queen bed. The water massage and jacuzzi jets in the masterbedroom will restore life to your joints and muscles; and the finely pressed and delicate bed linens will caress and refresh your skin in ways that you probably haven't experienced in years. The pool is a new addition as of May 2017. The pool is heated on a timer through a special electrical system, so there is no extra fee to heat it. 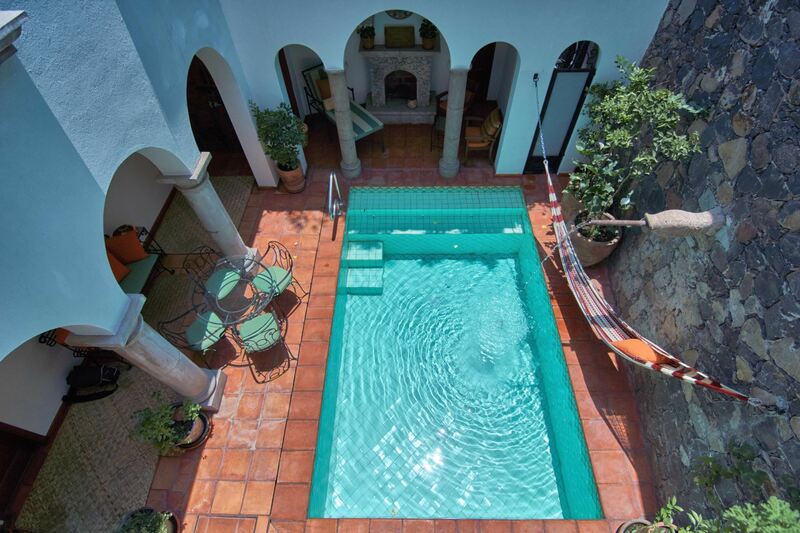 Fine books, comfortable lounging, unique interiors, and splendid views of one of Mexico's most intriguing cities all come to life in this charming and romantic home. The maid is there 3 times a week MWF.